We have revamped and upgraded our Education Centre in the last few months and added wonderful new interactive displays, in doing so it has developed into a wonderful spacious Centre. We have constructed an “’Ostrich Product Shed” as part of this exciting endeavour. 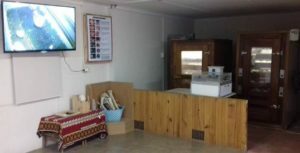 The new shed where we educate our visitors about the ostrich feather, leather and decorated ostrich egg manufacturing is an enlightening introduction into that part of the industry and gives one a newfound appreciation for the art and skill involved in making these amazing products. The extended new part includes a feather duster manufacturing demo where our guides demonstrate how feather dusters are made. The visitors can see and touch all the different types of feathers from the male and female ostrich. 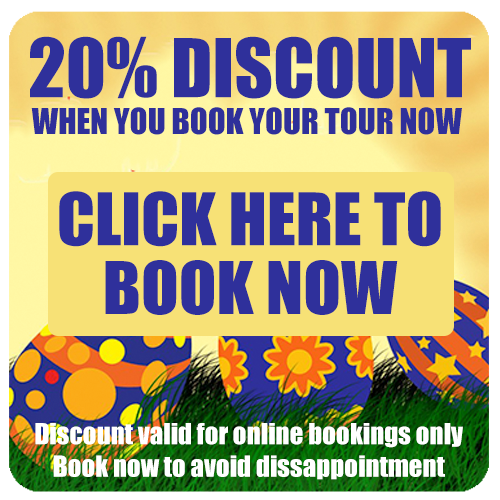 We explain by means of an interactive display the process of making decoupage and carved eggs and explain, with the assistance of video footage, the intricate process of tanning, colouring and finishing of ostrich leather. 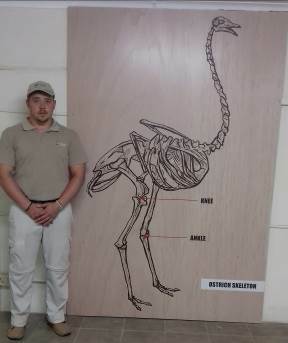 In the incubator room, where visitors can see how the chicks hatch, we have also brought in new displays including a life-size diagram of the ostrich skeleton. 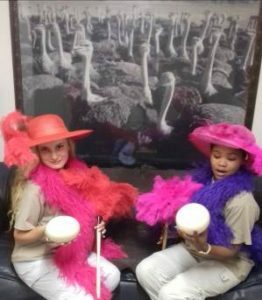 We created a “selfie-booth” with stunning ostrich feather boas and feather hats for the visitors to pose and parade in. The new Education Centre provides for lots of great photo opportunities and enables us to give our visitors an inclusive and comprehensive insight into the manufacturing side of the ostrich industry.